When it comes to nice pictures, I think I'm very passionate and willing to spend some time on brewing a nice photo. Taking photos is one of my hobby also also my passion. I'm the type that could just pull over just to capture some nice shoots or scenes that I saw and share it with my friends. If you were to follow my social media, you will realize that my Instagram (www.instagram.com/jjzai) is totally different from my other social media. Some of my friends keep asking me how did I edit my photos and make those photos look so nice. 1. To make a photo looks nice, you have to imagine that your object is beautiful. 2. Spend more time on taking photos, if you do not have a the passion of taking photos, then don't talk about photo editing. 4. Visit other instagrammers' profiles, learn more about photography. 5. Take more photos, edit more photos and get familiar with it. Life is full with uncertainties, why not we just spend a little bit more time and capture the beautiful moments we saw and share it with others? Anyway, photo shown is captured with Sony Nex 5T, edited with VSCO. Address: Udini Square, Lebuh Tunku Kudin 3, 11700 Gelugor, Penang. Sarkies in Eastern & Oriental Hotel would be my last Ramadhan food review. Named as one of the best buffet restaurant in Penang, Sarkies still deserved the title they have earned. Serving more than 100 dishes, they are offering more than what customers could have expected. The E&O Hotel's ever-popular breaking fast buffet will run from 18th June until 16th July 2015 and offers a delightful blend of traditional dishes served during the Hari Raya Season as well as Malaysia and international favourites from all over the world. In conjunction with Ramadhan, Sunway Hotel Georgetown also offering Ramadhan Buffet to celebrate this holy month with scrumptious feast by their experienced chefs. You can choose to break your fast with Sunway Hotel Georgetown's wide variety of dishes on their buffet spreads available daily throughout this month of Ramadhan. Ramadhan Buka Puasa feast is available for the month of Ramadhan from 20th June 2015 onwards until 14th July 2015. So book your table now to enjoy all the traditional Malay dishes along with Asian delights only at Sunway Hotel Georgetown. Warung Kambing Panggang is one of my favourite dish of the night. The meat was juicy and tender, it went perfectly with the mint sauce and black pepper sauce prepared by the hotel. I also like how they marinated the lamb leg with spices and made it rather flavourish. Ever since the opening of G Hotel Kelawai Penang, they have been offering quite a number of themed buffet and they all came with great promotions. In conjunction with the month of Ramadhan, G Hotel Kelawai also offering their Jamu Selera Buffet with wide variety of selections in their new food outlet, Spoon Cafe in G Hotel Kelawai Penang. Now you can break fast with an abundance of delicious delights specially prepared by G Hotel Kelawai's culinary experts with traditional Malay and Asian Cuisine along with the wide spreads of desserts in Spoon Cafe. Thanks to G Hotel Team for hosting us that evening, it was a lovely night indeed. Moody Cow Dessert Cafe Penang @ Jalan Transfer, Penang. I've never got so blown away by cakes but the cakes at this Moody Cow Dessert Cafe in Penang is seriously a big bomb to my life! Tried the Shanghai Moon - Salted Egg Yolk Cheese Cake with Chicken Floss is simply delicious! Salty kind of cheesecake is very surprising and it is totally awesome! I'm so impressed and totally conquered by the taste and the richness of the cake! The boss told me that they have used 30 salted egg yolks in the cakes and every slice would have averagely 3 yolks in it, though it is a bit costly (RM22) but it is totally worth it! Bring your friend along and have it together cause I'm pretty sure you can't finish it by yourself! The other cake was Rummy Nutty - Chocolate Rum Cake is also surprising good! The rum and chocolate ratio is simply perfect and though it is very chocolaty but it is not overly sweet and didn't grab too much of the taste of Rum. Priced at RM20 is consider reasonable and very worthy. Geisha Genmaicha Tea is priced at RM9 for a glass and it was very good. I love the strong genmaicha taste which are different from other brands, which are rather diluted and tasted very light. Totally in love with it! I'm pretty sure I will be back very soon just for the cakes. My first visit is the greatest experience ever! Address: 170, Transfer Road, 10050, Georgetown, Penang. Good Deals Travelling with Uber around Penang! 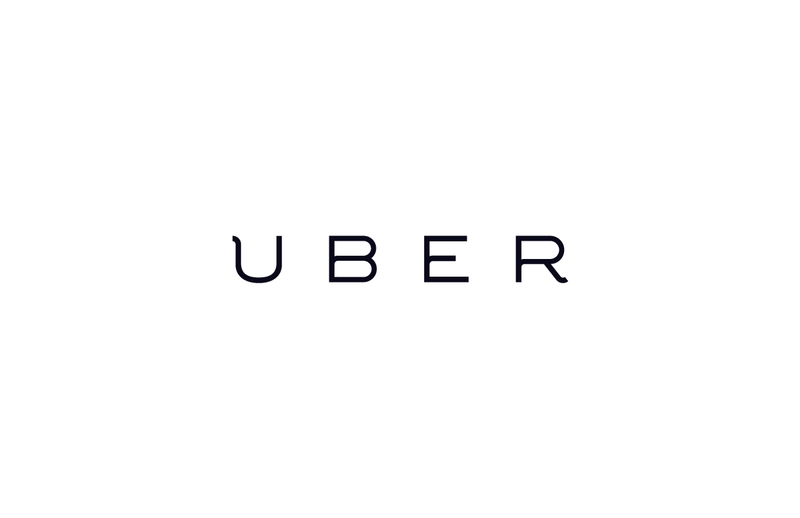 I believe most of you are no longer a stranger towards the brand Uber. 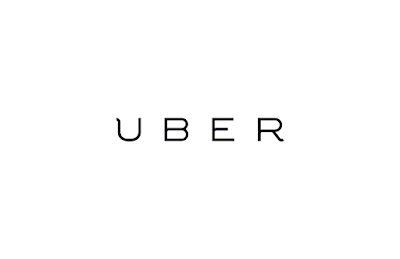 Standing strong as one of the fastest growing worldwide brand, Uber is now available in over 40 countries and more than 200 cities with their creativity and successful marketing plan, also bringing a lot of convenient to the public. Finally, Uber has come to Penang bringing a lot of surprises and great deals for Penangnites! Listed as one of the best app in the AppStore and PlayStore, Uber has became one of the most popular and useful app among the Malaysians and it is far more useful than other apps. After the Art Is Rubbish Is Art / Art Is LapZap art exhibition by Ernest Zacharevic at Hin Bus Depot Company, I've have not visited any art exhibition by him though there were a few exhibitions in the past. Recently, Ernest has gathered a few artists with him and organized another art exhibition at Eastern & Oriental Hotel Penang. "Ayam What Ayam" is an art exhibition held at the Ernest Zacharevic x E&O Gallery located at the Victory Annexe of E&O Hotel Penang. I didn't realize that Ernest has this art gallery for quite some time in Penang until I visited this art exhibition. With the collaboration of more than 15 international and local artists and curated by Ernest Zacharevic, "Ayam What Ayam" is a successful event with more than 50 masterpieces displaying at the art exhibition. This event started on 30th May 2015 and ending on 27th July 2015, the art exhibition is available daily from 10:00am to 5:00pm except every Tuesdays and Public Holidays. Ernest Zacharevic X E&O Gallery is one of the gallery located in E&O Hotel. If you are passing Lebuh Farquhar, you will see the gallery located in Victory Annexe of E&O Hotel on your left. It is the time of the year again for scrumptious Ramadhan Buka Puasa feast! Don't you love all the delicious traditional Malay dishes as well as those mouth watering kuih-muih that presented in front of you during their Open House? Not forget to mention bout the Sup Gearbox, Sup Ekor and many more delicious Malay dishes that await. Now you can choose to break your fast at Eastin Hotel Penang! Eastin Hotel Penang is bringing you "Eastin Ku - Kampung Ku" Ramadhan Buka Puasa Buffet Dinner for this year's Ramadhan feast featuring traditional fasting favourites, as well as fresh and delicious seafood and Roasted Whole Lamb, Kebab and many more! After my first visit to DCOVA, I seem to have fallen in love with this cafe. In fact, I've revisited for a few more time before writing this post to introduce their new dishes. I'm totally in love with the food at DCOVA, especially the delicious pasta and desserts of this cafe. This time, I've been invited by CK and together with Chloe, we head over to DCOVA to try out their new dishes. This recently, they have changed their menu and bringing a few more dishes offering delicious dishes cooked with squid ink and also more varieties on their dessert menu too. I'm a big fan of english afternoon tea, especially when it comes to a rather flexible afternoon with good weather. Winter Warmers in Penang is always my choice for afternoon tea when it comes to casual afternoon especially during the weekends. Recently, Winter Warmers Coffee & Tea House has come out with their new menu offering more new dishes on the menu while maintaining the good old dishes. Recently, Winter Warmers has opened a new outlet in Penang, which is located in Straits Quay Mall. I think that this location is very ideal where it is a nice mall to hang out during the afternoon for the sea view and some nice breeze from the ocean. Unless if you choose to sit indoor for the air-conditioning. We were greeted with a pot of nice chamomile tea as starter, which is one of my total favourite. Chamomile is rather healthy and good for detoxification, and the Chinese also believe that it can helps to cool down our body temperature.